If you’ve ever seen the Sarah Mclachlan commercial for the ASCPCA where her song ‘Arms of an Angel’ plays while animals lovers, like myself, whimper at the site of a wounded kitten, you’ve seen emotional marketing in action. While you may not have Sarah Mclachlan as an advocate, emotional marketing can still help you build outstanding campaigns. Emotional marketing works because, despite our effort to be as logical and rational about a decision, humans are inherently driven by emotions. Various research including the use of fMRI neuro-imagery has shown that humans are emotional decision makers, especially with purchasing, but the most impactful research comes from Anthony Damasio. When studying people who had damage to the ventromedial prefrontal cortex, the part of our brain that produces emotion, Damasio and his research team found that not only were these patients unable to feel emotions, they also lacked the capability to make decisions. When these patients were tested on measures of intelligence, they performed well, but their inability to form an emotional connection hindered their ability to make a decision. With strong research support suggesting the role of emotion is a core component of decision making, it isn’t surprising that organizations like the ASCPCA are trying to tug at our heartstrings in their marketing campaigns. If your company wants to use emotional marketing, how can you do it? While emotion has frequently been used in product advertisements like the Sarah McLachlan commercial, the influential power of emotion has been seriously underutilized in non-product related content. To be truly effective at appealing to the right emotions in content marketing, you have to know your buyer’s emotions. In other words, you need to know your buyer personas well enough to create content that is tied to their emotions and drives them further down the funnel. Whether you are a B2B or B2C company, emotion drives your buyer’s need for content. For example, if your buyers are B2B, your buyer may be driven by fear of being passed on a promotion. To be successful in content marketing with emotion, create content that helps this buyer along his or her journey to a promotion. In the book Emotional Design, Don Norman emphasis that all good design helps users on their journeys to solve problems. As mentioned in the research from Damasio, however, emotion is critical to solving problems and making an ultimate decision. In Norman’s book, he shares three levels of cognition that can be applied to design to make website design useful and emotionally impactful. Visceral level: This is the impact website design has at a subconscious level. At first glance, we experience an emotional reaction that impacts how we perceive the design at a conscious level. Website design should make the user feel happy, inspired, or what ever positive emotions your buyer aspires to feel. Behavioral level: While behavior isn’t an emotion, behavior and emotion are not completely separate entities in our brains. They are closely linked, so your website design should make each action the user takes seamless to keep them from feeling frustrated or any other negative emotion that can arise with a bad UX. Reflective level: At this level, all of the reasoning and emotion comes together to form conscious decisions about website design. At this level, we evaluate the product, website experience, and visual appeal to form long lasting impressions about the website. For website design to be successful, it must consider how all of the levels described by Norman impact the user. Despite contemporary wisdom, research has shown that color really doesn’t convey emotions as much as one would think. Does this mean that color is useless in marketing campaigns? No, because color is still important to your brand although it may not impact emotions as directly as you thought it would. Color does help consumers connect with a brand’s personality, which may help build an emotional reaction to the brand, but this is simply due to the color association with the brand and not because yellow makes people feel happy. Positive vs. Negative Emotions: What Works? When it comes to emotion, should you scare your audience into taking action or delight them so much they can’t resist? Should you be positive or negative? There are four basic emotions that all humans regardless of their culture feel: happy, sad, afraid/surprised, and angry/disgusted. The former two are positive while the latter two are negative. In 2011, a study published in the Journal of Marketing Research shed great insight into the impact of emotion on content that went viral online. Interestingly, content that conveyed positive emotions was more viral, but the content that produced anger and anxiety type emotions were more likely to make the New York Times most e-mailed list. The researchers conclusion from this study was not that one emotion outweighs the other, but instead that high arousal emotions are most viral. In other words, your content should create a high intensity of emotion that can be positive or negative. Whether a person comes from the Western hemisphere or the Middle East, they will express emotions exactly the same. Let’s conduct an experiment. Take a look at the baby in the picture below. How do you feel? Do you feel happy? If you feel as the baby does, you are experiencing empathy. Empathy is the ability to feel how others do. When humans see others experiencing emotion, most of us will feel the same way by recognizing the facial expression of emotion. For this reason, imagery, specifically of people, can be extremely effective at making your marketing campaigns outstanding through emotion. Emotional marketing is powerful in helping build campaigns that not only create a long-lasting impression of your brand, but it also helps to move leads to the next stage in the buyer’s journey by utilizing something that, despite our intense conscious efforts, is more influential than logic due to human innateness — emotion. 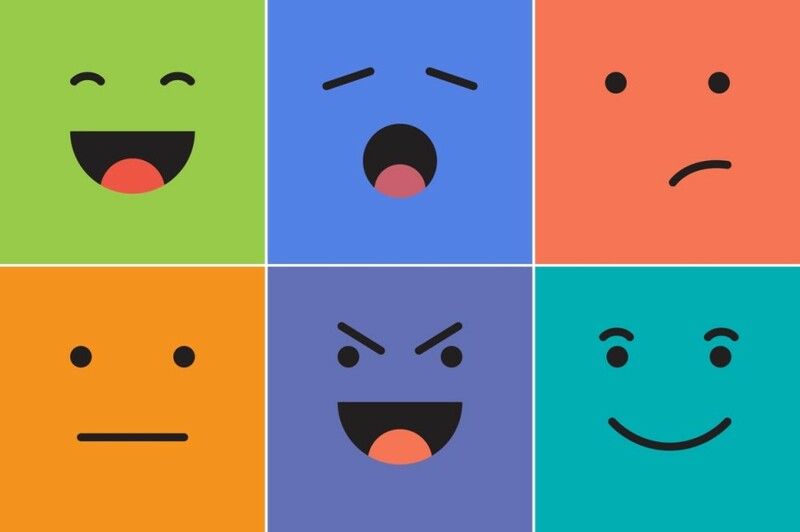 How do you use emotion in marketing? We’d love to hear your thoughts below!